Did India’s ‘Manmohan Doctrine’ Succeed? What were the greatest foreign policy successes and failures of Manmohan Singh’s tenure? This week is one of strategic introspection and planning in India as its global cohort of Ambassadors convene in New Delhi to share best practices in promoting Indian interests abroad, and coordinate India’s approach to the world. The Annual Conclave of Indian Ambassadors/High Commissioners abroad in New Delhi runs from Nov. 4 – 7 this year. "First, recognition that India’s relations with the world – both major powers and our Asian neighbours – are increasingly shaped by our developmental priorities. The single most important objective of Indian foreign policy has to be to create a global environment conducive to the well-being of our great country. Second, that greater integration with the world economy will benefit India and enable our people to realize their creative potential. Third, we seek stable, long term and mutually beneficial relations with all major powers. We are prepared to work with the international community to create a global economic and security environment beneficial to all nations. Fourth, we recognize that the Indian sub-continent’s shared destiny requires greater regional cooperation and connectivity. Towards this end, we must strengthen regional institutional capability and capacity and invest in connectivity. Singh’s proclamations about India’s international objectives comes at an opportune moment. Although the moniker “Manmohan Doctrine” never quite caught on, it encapsulated what Indian foreign policy could be in the 21st century, untethered from its experiments in non-alignment and, domestically, in restrictive economic policy. 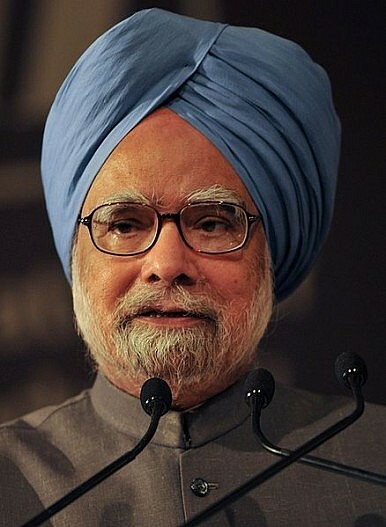 Economics lies at the center of the “Manmohan Doctrine." Economics is after all what the Professor-Prime Minster knows best; he is largely credited with overseeing India’s transition into a more liberalized economy in the early 1990s following its balance of payments crisis. Singh’s foreign policy, however, peaked early. The first term of the current United Progressive Alliance (UPA) government, headed by Singh and the Congress Party, managed to usher India into the 21st century with more than a few successes. The greatest success – one whose disappearance is currently a topic of great lament in India – was the stellar economic performance exhibited by the Indian economy. This has essentially eroded. After the financial crisis in 2008, India’s annual GDP growth stood at 3.9 percent. It peaked in 2010 at 10.5 percent, finally sliding to 3.2 percent in 2012. During that same period, inflation indices have risen as well. The India rupee’s drastic fall in value against the U.S. dollar earlier this year marks another cause for concern. Beyond economics, Singh’s tenure saw India’s geopolitical position change quite drastically. One of the greatest successes on this front was India’s nuclear normalization as embodied by the its civil nuclear agreement with the United States, and its receipt of the Nuclear Suppliers Group (NSG) waiver shortly thereafter. Having been widely sanctioned for its nuclear tests in 1998, India’s de facto ascendance into the ranks of the globally-accepted nuclear weapons states was cause for celebration. Singh, to his credit, pushed back against significant domestic political opposition against the U.S. deal, recognizing the importance of the deal for India’s global position and energy needs. Since then, however, the opportunities gained by India’s rapprochement with the U.S. and its nuclear normalization have been somewhat squandered. As C. Raja Mohan writes for Indian Express, the 2010 nuclear liability legislation in India singlehandedly undermined India’s progress earlier in the decade. Mohan calls the legislation “self-defeating” on the UPA’s part; it has stalled the sale of reactors from numerous foreign suppliers, including the United States, Russia, and France, because it renders insurance-aquisition for manufacturers nearly impossible. Despite these setbacks, the U.S., especially under the Obama administration, has been keener than ever to engage with India, especially as it pivots to Asia. For a multitude of reasons – including intransigent domestic politics – India has been unable to commit itself to the United States. Being courted by the United States against the backdrop of a rising China has also created favorable conditions in India for a resurgence of non-aligned thought. Mohan astutely notes that the "Congress leadership was never too comfortable with the extraordinary progress in relations with America.” In an attempt to avoid appearing threatening to China, India has moderated the pace of its burgeoning relationship with the United States for very little strategic gain vis-à-vis China. The perceived increase in India’s geopolitical leverage against China as a function of its rapprochement with the United States largely evaporated. In light of all this, what does Singh’s speech to India’s Ambassador’s this week tell us about his own assessment of Indian foreign policy? Economics is still central, and the language of welfare and development in the first principle reinforces this. The marked dip in India’s fortunes in the UPA’s second term did little to shake Singh’s faith in the primacy of economics in foreign policy. The final three principles indicate Singh’s belief that an activist Indian foreign policy, driven by its democratic values, would be a net positive for regional and global security. This sort of vision is something that has been sorely lacking in India’s foreign policy, and it will be on Singh’s successor to make it a reality. Learning the lessons of 13 years ago.